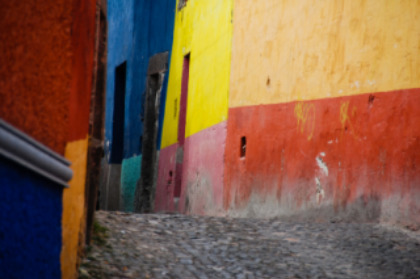 The best state to retire may be Mexico? Don't laugh, and don't believe everything you hear on the evening news about Mexico being a war zone... It is simply not true and many Americans and Canadians have retired to Mexico or have a winter home there. 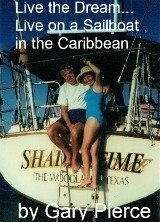 Lets examine each of these areas that makes retiring to Mexico so attractive. For $270 per year, you as an expat, can get health insurance. For those who receive the FM-3 visa, the Mexican health insurance system (IMSS) is available for about $270 USD a year. The program is fairly comprehensive and open to all full-time residents, regardless of nationality, after proof of residency in Mexico for one year and passing a prescreening physical and interview. This insurance covers doctor visits, hospital stays, drugs, with no co pays. Do you remember laughing when you watched Back to the Future? The gas station attendants cleaning the windshield...the soda shop atmosphere. Retire to Mexico and you will be reminded of how life was in the US 50 years ago. Good clean wholesome fun...call me ole stick my head in the sand, but there is less anger and attitude in Mexico and it shows in how they treat each other and you as a visitor. Plane service of course but do you realize that most of the expat havens north of Mexico City are a day to day and a half from Brownsville, Texas? The roads are not as bad as you may think. True it is not reccomended to drive at night, but the road system is surprisingly good. So if getting back to the USA is a concern...you are closer than you think. The relaxed pace of Mexico would not do with those that must have it now and the way it is in Miami or whatever. If you think there are no bad places in Mexico, you would be mistaken. Due to the drug trade, border towns are not where you want to be. However, in the areas north of Mexico City the crime rate is 2 to 3 times less than that of the USA. Young ladies walk to the town square in the evening without fear, it is very safe and you feel comfortable. If this is you please stay home and pay more...the manana pace is not for you. Don't confuse the slow pace with laziness, it is their culture and way of doing things. It is more important for the Mexicans to smile and greet each other than to go at the pace of Wall Street. If you retire to relax, this is the place. family and friends first...what is wrong with that...nothing. And make sure you have plenty of extra bedrooms... Or hammocks... Because you're sure to have some guests usually January through March. 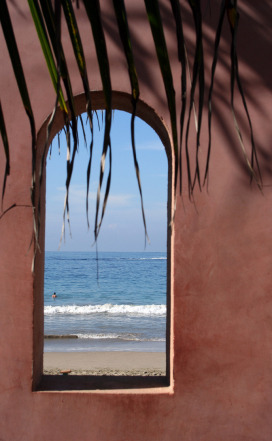 This could be your view from your courtyard in Mexico. If you can be happy in Lake Chapala with 40,000 other Americans living in the area you will be able to live quite nicely on $1500 to $2000 a month. If you can speak a little Spanish you can live anywhere you choose for a lot less. The average Mexican family lives on $500 a month, not that you can or should but Mexico is far from third world. For some of us Mexico has great appeal. And there is nothing wrong with that. Enjoy.